Australia’s RE obsessed PM, Malcolm Turnbull has committed political Hara-Kiri with his brazen push to double subsidies to wind and solar. The National Energy Guarantee is being pitched as a policy that will slash Australian retail power bills, notwithstanding that it effectively increases the current annual Renewable Energy Target (currently 33,000 GWh for wind and large-scale solar) from around 25% of electricity demand, to a figure in excess of 42%; all meant to be satisfied by wind and solar – and a few mythical mega-batteries and water pumped uphill – aka Turnbull’s ‘Snowy 2.0’. It’s a well-worn truism that the patrician and aloof Malcolm Turnbull is hopelessly out of touch with Australians (apart from merchant bankers with million-dollar views of Sydney Harbour). However, in the last fortnight or so the embattled PM has shown that he’s also totally out of touch with his own party and completely divorced from earthly reality. The claims are based on a mixture of heroic and nonsensical assumptions. And the modelling was done by the same class of clowns who, in 2014, predicted that retail power prices would fall dramatically (some claimed by as much as 50%) based on the fanciful notion that wind and solar are cheaper than coal and increasing their contribution would inevitably cause power prices to drop to a level half of what they are today: instead, power prices have risen at double-digit rates, each and every year since. Amongst Australian power consumers, these characters have as much credibility as the Boy Who Cried Wolf. A mixture of hubris and arrogance led the likes of the AEMO’s Audrey Zibelman, Kerry Schott from the Energy Security Board and the Ever-‘Green’, Chloe Munro to jack up the targets for wind and solar under the NEG to biblical proportions. Instead of being a simple policy aimed at restoring grid reliability, they hijacked it and turned it into the RET on steroids. The furious debate over the NEG has drawn focus on the insane cost of electricity under Australia’s current renewable energy policies, more generally. The result being that, not only is the NEG doomed, but the existing Large-Scale RET is now under microscopic scrutiny and likely to face the axe, as well. We’ll return to that theme, in our next post. But first, here’s a trifecta from The Australian detailing the fallout from Malcolm Turnbull’s efforts to force a policy cooked up by eco-zealots on a party that is itching to make him walk the plank. Malcolm Turnbull has dumped the government’s plans to legislate the 26 per cent Paris emissions­reduction target, in a dramatic capitulation to rebel MPs and ministers threatening to cross the floor and vote it down. Senior government sources confirmed that Mr Turnbull’s praetorian guard had come to the conclusion on Thursday night that threats to his leadership were real and that a bold move was needed to head off the growing likelihood of a revolt. This followed a group of marginal-seat MPs from Victoria, Queensland and NSW approaching Home Affairs Minister and leading conservative Peter Dutton over the course of the past week to express their concerns that the government was heading towards a disastrous defeat. The Weekend Australian has confirmed with several of those MPs that Mr Dutton would have their support should Mr Turnbull’s leadership become terminal. Under the backdown, the 2015 climate change commitment would be retained but mandated through a ministerial order and only after advice from the competition regulator that it would not increase power prices. The plan to carve out the target from the federal legislation follows a rearguard action from a group of 10 rebel Coalition MPs who have withheld their support for the ­national energy guarantee and threatened to cross the floor in a direct challenge to Mr Turnbull’s authority as leader. Despite the last-minute policy shift, some conservative MPs were saying last night the policy recalibration would not be enough to win over all of the Coalition holdouts or restore confidence in Mr Turnbull’s leadership, following the poor showing at the Longman by-election last month and the Prime Minister’s 38 consecutive Newspoll defeats. Former deputy prime minister Barnaby Joyce last night suggested Mr Turnbull should reconsider his ability to lead the Coalition to ­victory before the next federal election but denied knowledge of any move. “I’ve always said openly that if a person gets to a point where they think they can’t win an election then they should consult with their colleagues about what happens next,” Mr Joyce told ABC radio. 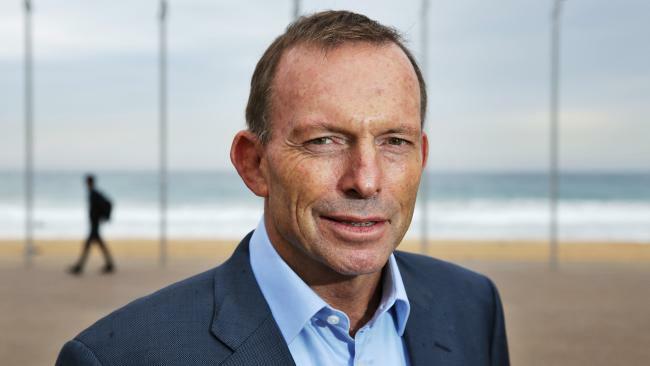 The changes to the energy shake-up were swiftly condemned by Tony Abbott, who told The Weekend Australian he was concerned about whether the new plan would allow a future Shorten government to ramp up emissions-reduction targets more easily. “It does look like policy on the run and, given that both the Prime Minister and the Minister for Energy emerged on Monday to declare overwhelming support for their policy, it seems a little strange that the policy has now been turned on its head,” the former prime minister said. Victorian Liberal MP Kevin Andrews — one of the leading rebels on emissions-reduction targets — declared Mr Turnbull’s plan for regulation “was just as bad as legislation”. “We have signed Paris and will meet the target. We need neither legislation nor regulation,” Mr Andrews said. The Weekend Australian has also confirmed the Prime Minister will pursue an aggressive campaign to force down energy bills that will include arming the Australian Competition & Consumer Commission with divestiture powers to strip the big three energy ­companies of generation assets if their early closure leads to higher prices. It is understood that Mr Turnbull will legislate to give the government the broad powers to act against the big three power companies, or “gentailers”, in a campaign that has the hallmarks of the government’s crackdown on the banks. Mr Turnbull and Scott Morrison will use the weekend to finalise the package of measures to present to Coalition MPs as early as Monday. Late yesterday, Mr Turnbull decided that the 26 per cent Paris target would not survive a vote in the parliament, with at least six Coalition MPs confirming they would cross the floor. A decision was made to ensure the 2015 climate change commitment would instead be mandated through ministerial regulation or executive order and only following advice from the ACCC that would need to be tabled in the parliament. If a minister wanted to change the target they would have to inform the energy regulator and the ACCC so they could provide a report detailing the impact on prices. That report would need to be released publicly before a decision was made. This means the model being adopted by Mr Turnbull would force a Labor government to seek the same assurance from the ACCC that its 45 per cent target would not raise power prices. It is understood that the decision to remove the Paris target from legislation was made on Thursday night in a late-night meeting between Mr Turnbull, Scott Morrison and Energy Minister Josh Frydenberg. It will mean the only legislation required by the government to fulfil the commonwealth component of the NEG would be minor and include carbon credits and offsets. The Weekend Australian can also reveal that the legislation that was being proposed — but being kept secret from Coalition MPs — would have legislated an emissions-intensity target over time. Mr Abbott said the decision not to share the legislation was “shambolic” and “no way to run a government” as well as a “serious breach of due process”. Affordable and reliable power: the New ‘Rebel Yell’. 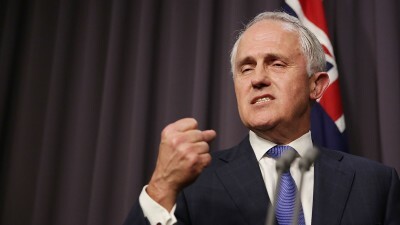 Malcolm Turnbull is on notice that he will face ministerial resignations and a leadership challenge unless there are drastic changes to the national energy guarantee and an improvement in Newspoll. There are talks between ministers about replacing the Prime Minister and the recognition that if there is to be a challenge it will have to be before the end of September. For months conservative MPs have urged Peter Dutton to stand against Turnbull, but there is no challenge yet and the Immigration Minister remains loyal to his leader. The rebellion of conservative MPs, including Tony Abbott, Barnaby Joyce and Andrew Hastie, over Turnbull’s proposed deal with the states to provide more ­reliable and cheaper electricity is the immediate cause of leadership destabilisation. But discontent with Turnbull is much wider than just his handling of the NEG, and even dropping his preferred Paris emissions target from the legislation may not head off a leadership crisis. Dutton is being thrust forward as an alternative leader as ministers lose faith in Turnbull. Dissatisfaction, already high because of the removal of Abbott, the hits on superannuation, and the blunder on Catholic schools funding, is rising dangerously. The by-election results last month, particularly in the Queensland seat of Longman where Labor won and the Coalition’s primary vote dropped further, and continuing poor Newspoll results, including Turnbull’s 38th losing survey in a row to the ALP on a two-party preferred basis, have alarmed Coalition MPs. For some time, ministers have discussed a possible leadership change as conservatives fear an electoral wipeout at the next election that could hand Labor up to 20 seats, including 10 in Queensland. The Coalition’s primary vote has crashed since the last election, and defectors are not returning. Dutton, as the most senior Queensland Liberal, has obvious appeal in the north but has managed to use his hardline on immigration and law and order to garner support elsewhere, including in Victoria. Right now there is no challenge: Dutton has not declared and there are unlikely to be any calculated or public moves next week or before the two-week sitting in the middle of September after the NEG legislation has gone to the Coalition partyroom, parliament resumes and the next Newspoll is published. Throughout the Liberal Party, at state and federal levels, and within the federal parliamentary party, there is an acceptance that the political process for leadership challenge has begun. Turnbull is not helped by the deep divisions among his Nationals partners. There will be false starts and feints, positioning among contenders and counter moves from Turnbull and his supporters in the next parliamentary week, and a lot of media speculation. In this situation it is possible a leadership crisis begins by accident or misadventure. Turnbull’s leadership is on the line, his handling of the diabolic complexity and political conflict in the NEG deal will be crucial to his survival, but this moment of political life or death has come about because of an accumulation of poor political judgments, a lack of connection with the public and an alienation of conservative voters and key voting blocs. Dutton’s declaration this week that while he was in cabinet he was bound to support government policy and the leader, makes it axiomatic that the moment he resigns a challenge will be under way. In the meantime, there will be public displays of shadow boxing and a behind-the-scenes exercise of the dark arts to discredit and derail any potential contenders. But Turnbull is on notice. 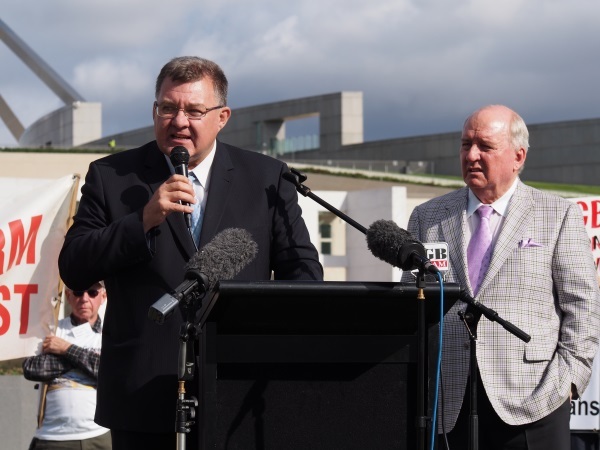 Craig Kelly: leads a rebellion against self-inflicted economic suicide. Malcolm Turnbull needs a circuit-breaker to rescue his national energy guarantee, revive his government’s direction and protect his leadership. As expected, finding an accommodation within the Coalition on climate and energy policy is proving even more difficult than satisfying the Labor premiers or Bill Shorten. This is hardly surprising given this has been the most hotly contested policy ground between the major parties for more than a decade. In 2013 the Coalition won in a landslide under Tony Abbott promising to repeal Labor’s carbon tax. Despite having made good on that promise, the government has seen the consequences of the renewable energy target and other climate policies push up power prices and undermine the reliability of the electricity grid. While emissions reductions (at differing levels) have remained as a bipartisan commitment, under both Mr Abbott and Mr Turnbull the Coalition has steadfastly avoided introducing a price on carbon, an emissions trading scheme or an emissions intensity scheme because it has understood its mandate. The central problem for the Prime Minister now is that as the detail of his NEG is revealed, the public and his MPs have realised that it is a scheme whose primary purpose is to deliver reduced emissions in the electricity sector. The NEG’s positive attribute is that as well as enforcing and facilitating lower emissions it will place a premium on reliable or dispatchable electricity generation. Yet the fact it was designed to render the voluntary Paris targets enforceable under domestic law belled the cat — the driving force of the NEG is the emissions reduction target. What is more, because of the state and federal overlap in the National Electricity Market, the government’s slender lower house majority, a host of Coalition dissenters and fraught numbers in the Senate, realistically the NEG can succeed only with Labor support. Mr Turnbull is actually trying to deliver a bipartisan agreement to meet emissions reduction targets, a carbon copy of what he tried to do as opposition leader in 2009 when his colleagues revolted and installed Mr Abbott to change policy direction. Mr Turnbull’s highwire act is an attempt to deliver from government a similar climate compromise to that which undid him in opposition. Little wonder that last night he moved to dump the government’s plans to legislate the 26 per cent Paris emissions reduction target. It was a capitulation to rebel MPs and ministers threatening to cross the floor and vote it down. Under the backdown, the 2015 climate change commitment would be retained but mandated through a ministerial order and only after advice from the competition regulator that it would not increase power prices. The Prime Minister has said many times that to reduce emissions the nation must bear an economic cost. “There is no free lunch in terms of carbon abatement,” he said in 2011, “someone has to pay.” In 2013 he put it this way: “There is no such thing as a carbon-free free lunch.” So when he talks about the NEG attempting to solve the “trilemma” of electricity affordability, reliability and reducing emissions, Mr Turnbull knows the emissions reduction side of the equation compromises the pricing side. Yet the government’s rhetoric is all about cheaper energy prices. This is an obvious contradiction and makes for a muddled political message. Australia has a natural advantage in cheap energy and we account for only 1.2 per cent of global emissions. (China is 26 per cent and increasing while the US is 15 per cent and not in Paris.) So it is incongruous that we are the only nation inflicting economic and political pain on ourselves to adhere to the Paris Agreement. India, Indonesia and other developing nations, naturally enough, are continuing to increase their emissions as they expand their economies and lift millions of their people out of poverty. Many European nations benefit from nuclear energy or recent transitions to gas generation, while other nations on track to miss their targets accept that reality. The US withdrew from Paris just as Donald Trump always promised he would do. Inexplicably, Mr Turnbull ratified the Paris Agreement the day after Mr Trump’s election win was declared, when this would have been the most sensible time to stall and take stock. 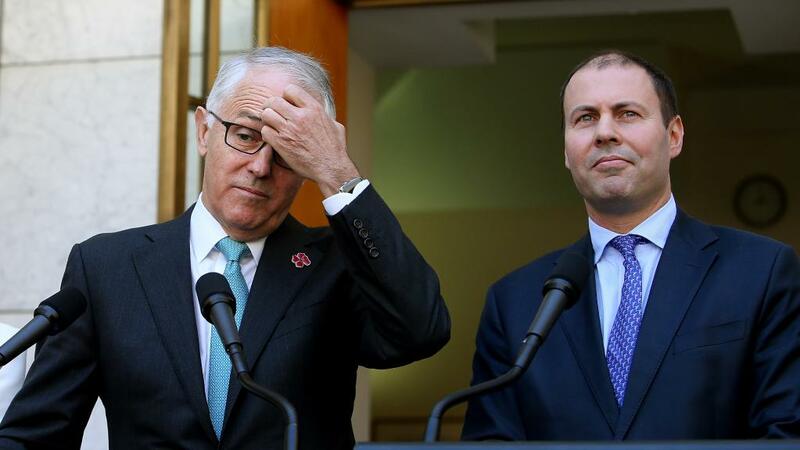 Mr Turnbull and Environment and Energy Minister Josh Frydenberg have now moved to assuage the concerns of their partyroom colleagues while keeping Labor at the table. Their compromise plans are also likely to include pricing measures directed at the large power companies, so tangible progress on costs can be demonstrated. Labor is unlikely to have a problem with this. But the government also might look to underwrite new coal generation investment or act to extend the life of existing coal-fired power plants: initiatives that might prove a step too far for Labor. Regardless, a complex policy fix has started to look even more complicated and difficult to explain and manage. Through all this Mr Turnbull and Mr Frydenberg need to keep in mind a simple reality. The Coalition was elected in 2013 largely on a promise to defend electricity prices from conceitful climate gestures. They will abandon that policy and political ground at the grave peril of their own positions and that of the Coalition. 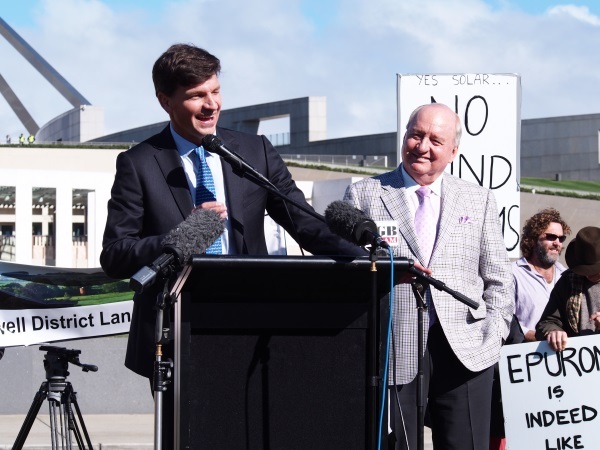 Watch that man: Angus Taylor – leader in waiting. Australians will be forever indebted to those 10 so-called ‘rebels’ within the Liberal and National parties – Tony Abbott, Andrew Hastie, Kevin Andrews, Barnaby Joyce, Andrew Gee, Tony Pasin, George Christensen, Barry O’Sullivan, Eric Abetz and Craig Kelly – who, in less than a week, managed to destroy the policy that would have destroyed this country. The ‘rebels’ are acutely aware that the only “guarantee” attached to the NEG, is a guarantee of rocketing power prices; the natural result of increased reliance on chaotic wind and solar. Never in the field of affordable energy conflict has so much been owed, by so many, to so few. One of them, the NSW Liberal member Craig Kelly has done more than most. Malcolm Turnbull and Josh Frydenberg sought to silence him in last week’s party-room meeting. Attempting to ram through a pig’s ear of a policy (designed by RE zealots) and ride roughshod over ordinary political process, by bullying and silencing members, was never going to pan out all that well. The furious and well-drilled reaction (predictable enough) has now left the PM mortally wounded, with a leadership spill almost certain. All the press talk surrounds Peter Dutton as the best candidate to lead the Coalition, but STT suggests political pundits should be keeping their eyes fixed firmly on Liberal Member for Hume, Angus Taylor. From STT’s perspective, Taylor is the only Liberal capable of fixing Australia’s energy crisis and leading a Liberal/National Coalition to victory at the next Federal election. Every time the PM attempts to placate those within the party determined to destroy the NEG – with promises of government-backed coal-fired power plants etc – he guarantees that the Labor party will help destroy it, as well. There’s an old adage about trying to please everyone, and ending up pleasing no one. And there’s also something about it being impossible to serve two masters, at once. Anything that Turnbull does to help grease the passage of the NEG through the Liberal/National party room necessarily renders the policy unpalatable to the Green/Labor Alliance, especially in its natural environment, Victoria. The Victorian Labor government has no reason to support a policy being pitched by ‘Tories’ in Canberra, when it faces an election in late November and is terrified of losing green-left support. Annoying its natural constituents with a policy that so much as mentions the word ‘coal’ would inevitably result in the loss of seats to the Greens in inner-city Melbourne. Premier Daniel Andrews has absolutely no incentive to agree to the NEG and STT expects him to slowly roast it, and those that promote it, including Malcolm Turnbull, by making a range of increasingly ambit claims to amend the NEG in a manner that would satisfy RE and CO2 obsessed green voters and infuriate Liberal and National back-benchers, including Craig Kelly and his growing band of rebels, keen to make reliable and affordable electricity available to all. In short, the NEG is dead and will be buried alongside Malcolm Turnbull and his gormless Energy Minister, Josh Frydenberg. R.I.P. and good riddance. Malcolm might have ( Impressed ) Kerry Packer in his Day BUT Those Times are WELL Behind US..? Considering that Australia sequesters more CO2 than it emit, we should not bother with any of this foolish pandering to the UN, even if there was any rationality to their argument that CO2 was causing CAGW. We should rescind the RET and put our electricity system back as it was before these idiots promoted renewables. All of it should go, now! Certain idiots in government and many of the bodies created to make renewables work (AEMO etc.) satisfactorily should go as well. I do hope this is the end of Turnbull’s political career in Australia. After his “gift” to the GBRF, I’m sure there’ll be a few nice board positions from which to choose and perhaps a European/UN posting to carry him through his retirement. I’d like to think Frydenburg, Bishop, the rest of the climate change faithful, his NEG and the RET go with him, but that might be too much to wish. The energy crisis in Australia has been entirely politically driven. The temptation to “Save the World” and cozy up to the UN and Al Gore was too much for nearly every politician to resist and this is the result. It’s been one screw-up after the next as the government attempts to manipulate the entire market to achieve some imaginary, Utopian result based on selected, manipulated science, a very slick PR campaign and a great deal of wishful thinking. Australia deep into an economic nightmare, which could be a real test for the resilience of the Australian Constitution. Australia HAS to get rid of the RET and ALL the pompous renewable energy and energy-related public service hangers-on who are sucking at the taxpayer teat. Catastrophic man-made climate change needs to be removed from the public spotlight and extricated from the education curriculum. This is going to take decades to unravel the mess, but hopefully dumping Turnbull and his team might be a good start. I’m pretty sure that plans to declare an emergency or to otherwise force a takeover of Liddell will founder. The primary reason is that it is already running down after initial commissioning in 1971 with an expected lifespan of 25 years plus extensions. Indeed, a plant improvement and life extension was completed in the 1990’s and a new controls system has since been added, but unless significant additional money is put on the table its future looks grim. Add to that the fact that it changed hands for a song early this decade and the present owner, AGL, also owns its brother station Bayswater which is much newer and which supplies needed services including cooling water, hydrogen, distilled water and fuel (plus more) and it becomes clear that anybody taking over the plant in, say, 2021, will be stuck with a 50-year old station with limited reliability. Unless, that is, the Federal Government reserved the site and its high capacity connection to the Grid for nuclear power. That would be very interesting indeed and would result in zero carbon electricity that does not need gas turbines or diesels or world-leading batteries (ref. South Australia, currently) in order to be reliable. But that wouldn’t appease the Greens who at heart aren’t all that green, or Friends of the Earth, who are not in reality friends of the earth at all. If, at the same time, the government was to compulsorily acquire the raw water supplies from the Hunter River and make them available at cost to each user, one of the primary issues would be resolved permanently. Well put about the Greens. Was talking to a bloke who didn’t hear about the French return of nuclear waste to Australia the other year via the secure port at Woollongong. He thought the Greens would have kicked up a stink but little was said – even about where the waste went – most of it was contaminated dirt because of the sloppy way the French had stored it. Aren’t you lucky in Australia to have 10 knowledgeable, honest and courageous members of parliament to bring the insane green energy circus to a grinding halt. We just did the same in Ontario, against all odds, but unwinding it all with minimum damage is going to be an even bigger challenge. Stick to your guns. The Libs are dead men walking…and they know it! The NEG and the adjustments that have made to it in order to appease everybody just goes to prove how inept Turnbull and his ‘select’ few are! This idiot goes from one blunder to another, without blinking an eye. Frydenberg is not much better. Anyone who can happily and knowingly lie about the impact on prices and reliability of our electricity grid is not worth having in any parliament. The trash will be thrown out at the next election. Unfortunately that does mean that Billy Shortone has his day in the sun. So be it. All that means is that we get to the end of the line that much quicker. The sooner we reach that point, the sooner we can start repairing the mess that all our politicians have made under the guise of ‘gerbil warming’. The ‘trash’ will be thrown out much sooner than that. STT hears that the spill is on. Turnbull is finished and so are his lefty acolytes, he knows it, hence his continual retreats over the terms of the NEG. The next 7 days will be very interesting. Whatever hold Turnbull has on Coalition members, other than the ‘rebels’, he does not have that hold on the electorate- either he goes now or ends his apparent quest to destroy the liberal party at the next election when they will face certain defeat – good riddance, but why do we have to wait – it is impossible to believe there are not many parliamentarians in the coalition who have not yet disclosed their absolute distaste for Turnbull and Frydenberg’s policy on electricity – not the least of which must be Angus Taylor, a man whose economic analysis of the futility and overwhelming cost of the effect of subsidised wind farms comprised a significant part of my objection to the Crudine wind farm as far back as 2013. For the sake of our nation Turnbull must be booted out now. I agree, he appears to have one foot in the Liberal camp and one in the Labor camp with his arms being tugged on from the Green Camp and he is not even trying to pull free of them. His past Political ambitions indicate he is a ‘floating’ Liberal, with leanings to Labor. While in the Australian Republican Movement he considered preselection for a Labor seat, even going so far as to discuss the possibility with a State Labor MP. Also at one time he apparently aspired to become a member/leader of the Australian Workers Union. His ‘allegiance’ to the Liberal Party seems to have been dependent on whether he won a pre-selection and from his behaviour has nothing to do with the Liberal Party’s political beliefs. Perhaps he would be better to set up his own one man Party then he could create his own policies and act out his Dictatorship desires. We need a true Liberal running the show – that is what the people of this country voted for. What Turnbull and co need to accept is there is an energy crisis in this country and that streams into every aspect of our lives. What they fail to see is the only way to keep a lid on the demise of this Nation is to declare a State of Emergency and take control of Liddell, keeping it working at the very least until a new clean coal plant has been installed AND investing in nuclear or clean coal in each State/Territory to ensure secure, cost effective energy is available to all. At the same time they do this they need to cut the subsidies and encouragement to ‘renewable’ energy projects. Not one wind project has proven to be efficient, cost effective and able to provide energy without AEMO having to turn in circles trying to keep the lights on across the Grid, all the while having to rely on gas and coal to do the job. It is evident to even the most stupid person, or should be, that the Wind industry has made promises it was well aware it could never keep because by design it was impossible to keep them, and every word spoken by the ‘forked tongue’ brigade was a word designed to treat us like fools. Its time our PM stopped listening to them and started accepting not all of us have been fooled, that there are those in his Party who are more than capable of seeing through the deceit. There are also those who can see the damage being done to lives, businesses and families. These are the people who are out there speaking too and listening too the voters those who put them into Parliament. Its time Turnbull and co accepted they have shut themselves off from the ‘average Joe’ in the street who wants to turn the switch on knowing it’s not going to end in them having a bad payment record, or even worse loosing their home and/or job. We want them to accept they have obligations to ALL the people in this Nation not to sign up to international agreements that have not been fully researched and thought through as to their usefulness in achieving what they purport to want to achieved, and if what is being proposed as a resolution is actually the best way to go about. Get out of the Paris Agreement and start to invest in this country’s future again to bring it back to the strong progressive nation it once was. It can be done without the ‘help’ of the UN or the ‘gang-green’ brigade. When is a guarantee not a guarantee? When has anything to do with consumers, as in the national energy guarantee (NEG). When is a guarantee a guarantee? When it’s a Future Fund to guarantee politicians superannuation. Is it any wonder ordinary people have no faith in what’s being said when the names applied have the opposite effect. So it would seem the legal eagles in parliament are the modern equivalent of what used to be thought of used car salesmen. Even the Green/Labor Alliance will be stressed now that the Greens have thrown their hat into the banking vertical integration separation ring, while Labor twiddles its thumbs. And what we really don’t need is neo-liberal Labor, we need old style dinky-di true Labor. How is it that nobody seems to understand that it all went haywire with the ALP/NLP 1980s forelock tugging to the ‘economic consensus’?